Over the last few years, Starbucks (SBUX) CEO Howard Schultz has made it one of his personal missions to put Americans back to work. And he's actually doing it. Last Friday, the company announced it will build a state-of-the-art manufacturing facility in Augusta, Ga., that will employ 140 people. This comes after the company's announcement last month that it will source a line of coffee mugs from a plant in East Liverpool, Ohio, one of the country's oldest ceramics manufacturing towns. Call it insourcing. Call it reshoring. Call it whatever you like, but bringing jobs back to the U.S. is starting to look like a trend. The Wall Street Journal is reporting that a survey conducted by supply-chain expert and Massachusetts Institute of Technology professor David Simchi-Levi shows 14% of 108 major U.S. manufacturers plan to bring some of their manufacturing capability back to the U.S.
Google (GOOG), which will be making its new Nexus Q media player here, a rare event in the world of consumer electronics. Caterpillar (CAT), General Electric (GE), and Ford (F), all of which have made commitments in the last two years to move some currently offshored manufacturing back to the U.S.
Schultz: "We Can Make a Difference"
"There are thousands of facilities like the one we found in East Liverpool, and hundreds of small towns in America that have been left for dead. I think we're better than this. We can make a difference. We can't be bystanders." So said Howard Schultz last month on his decision to source a new line of Starbucks coffee mugs from American Mug and Stein in Ohio. Schultz got passionate about the depressed state of the American labor force not long after the financial crash. The plight of millions of displaced workers inspired him to start "Create Jobs for USA": a corporate initiative that teams the coffee retailer with Opportunity Finance Network, a national network of specialized low-income lenders, to invest in low-wealth American communities. 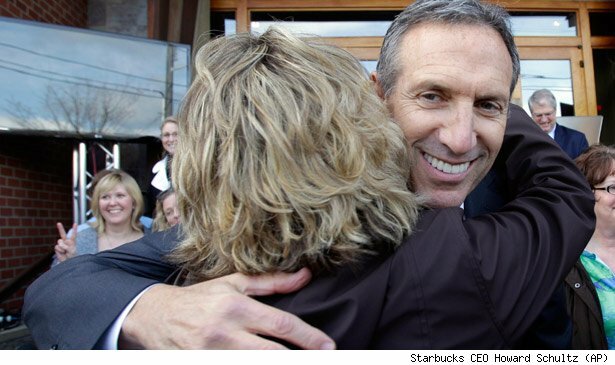 Schultz seeded Create Jobs for USA with an initial grant of $5 million from the Starbucks Foundation. 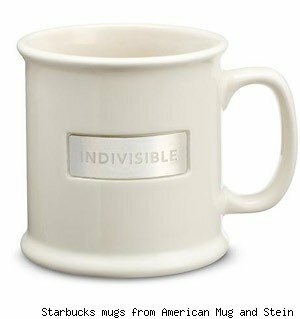 And if you go into any Starbucks cafe today, for $5 you can buy a wristband with the word "Indivisible" on it, the proceeds from which go to the Create Jobs for USA foundation. Starbucks' new $172 million manufacturing plant in Georgia will make what are called soluble products, which include the company's VIA Ready Brew instant coffee, as well as the coffee base for its wildly popular Frappuccinos and other ready-to-drink beverages. Approximately three-quarters of the positions will be what the company is calling highly skilled manufacturing jobs, which will include engineering technicians, roasting operators, and soluble process operators. The remaining jobs will be management and administrative staff. Starbucks also says that the plant will create "hundreds of indirect jobs related to construction, shipping, and other supply chain functions." The new facility is scheduled to open in early 2014. It will be the company's fifth manufacturing plant in the U.S.; the other four are green coffee roasting facilities. As if building the plant wasn't enough, part of the Augusta project also includes a $200,000 investment in the community. Over the next several months, Starbucks will work with elected leaders and civic organizations to support programs that will help Augusta develop a deeper sense of community. "During such challenging economic times," Starbucks executive vice president Peter Gibbons said in a recent statement, "I am thrilled that we are creating jobs and building something special right here in Georgia. 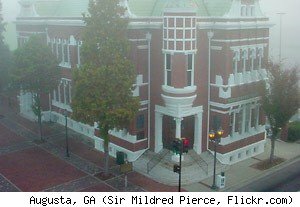 With access to a skilled labor force, advanced technology, and critical transportation and logistics infrastructure, Augusta is a great example of how building high-tech manufacturing facilities in America makes good business sense." Good for American business, and good for American workers. That's a trend worth raising a Grande Latte to. John Grgurich is a regular contributing columnist to The Motley Fool, and owns no shares in any of the companies mentioned in this piece. The Motley Fool owns shares of Ford, Starbucks, and Google. Motley Fool newsletter services have recommended buying shares of Starbucks, Google, and Ford, as well as creating a synthetic long position in Ford and writing covered calls on Starbucks.